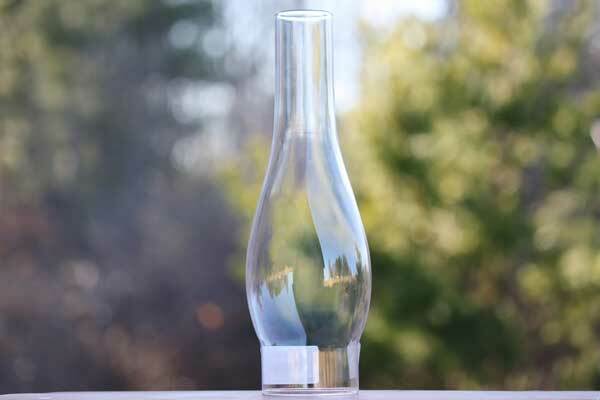 These glass chimneys mend and revive oil lamps and lanterns. 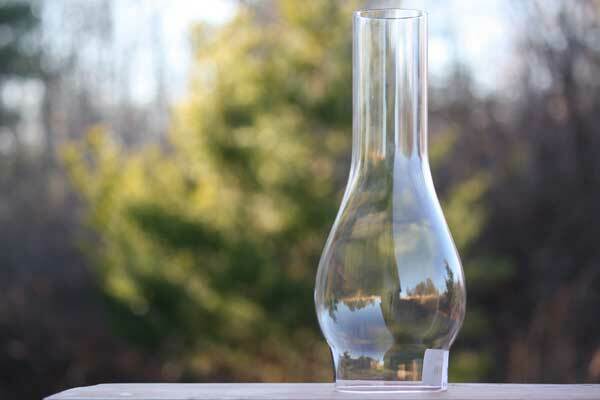 Our oil lamp globes make beautiful oil lamp restoration projects that are seamless to use. 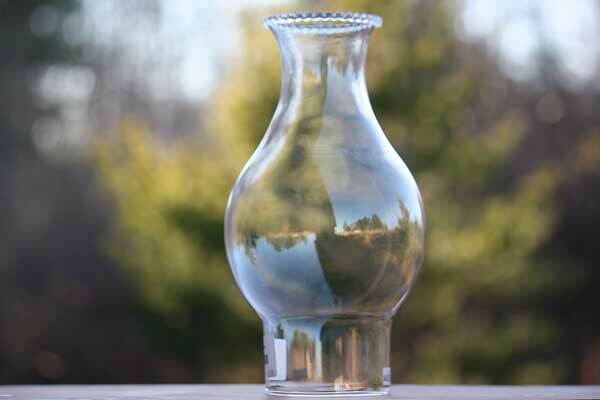 Choose hurricane lamp glass from a large selection of shapes and sizes. 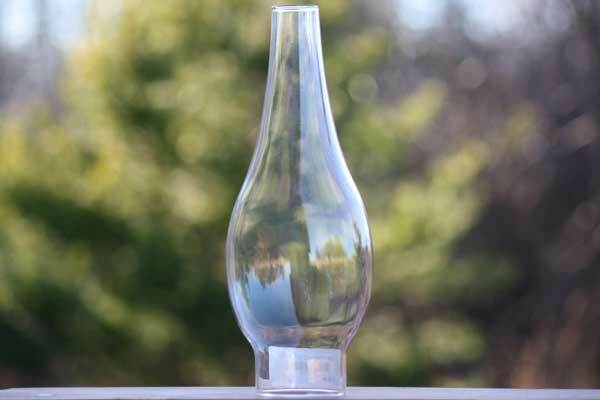 Whether you're fixing an indoor oil burning lamp, a hanging lamp, a miniature oil burner or a railroad lantern, we have a chimney replacement globe for you. 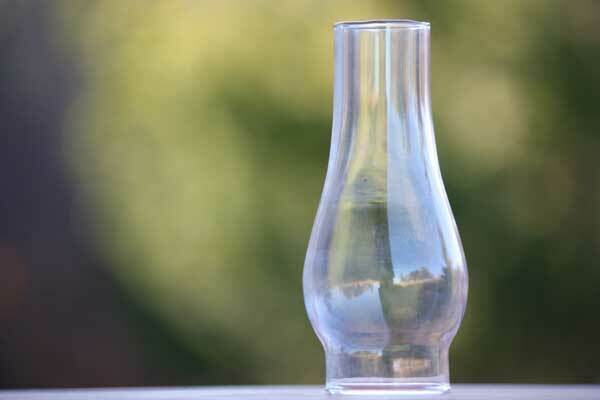 All kerosene lamp globes are long-lasting and crafted to last for many years of use to come. 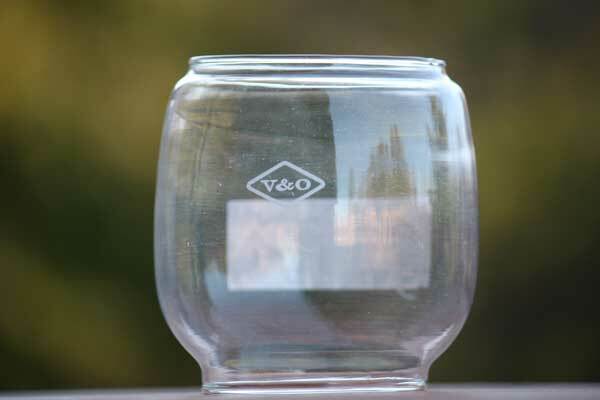 Click here to save our V&O Lantern parts list. 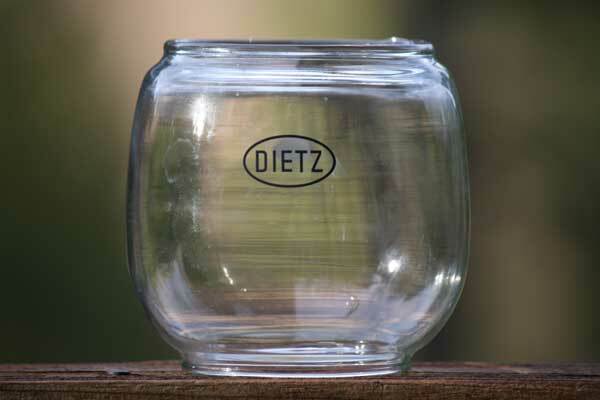 Click here to save our Dietz Lantern parts list. 1=2 1/4", 2=3 3/8", 3=2 5/8"
1=2 3/4", 2=3 1/4", 3=4"
1=2 3/4", 2=2 1/4", 3=5 5/8"
1= 3 3/8", 2=2 5/8", 3=6 3/4"
1=3 3/8", 2=2 3/4", 3=6 3/4"
1=3 3/8", 2=3 1/4", 3=4 3/4"
1=2 3/4", 2=2 3/8", 3=5 5/8"
1=2 3/8", 2=2 5/8", 3=3 1/2"
1=2 1/4", 2=2 3/8", 3=3"
1= 3 3/8", 2=4", 3=4 3/4"
Keeping the glass chimney of your oil lamp or vintage lantern clean is important for good lighting and general satisfaction. 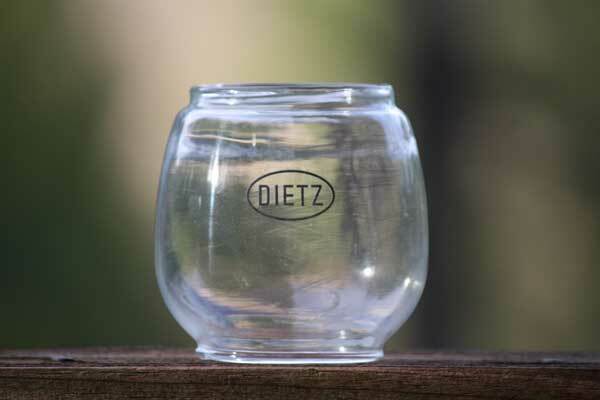 A clean oil lamp globe will greatly add lighting power and improve appearance. 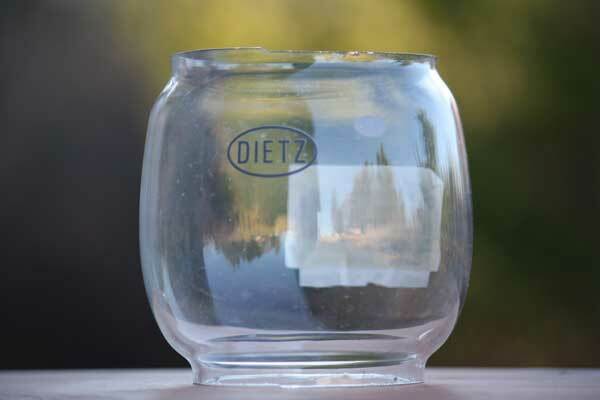 With lamp use, soot builds up on the glass chimney. Dirty chimneys cause uneven heating that can start fires and make chimneys crack or shatter. Sooty chimneys weakens light output and strangles oxygen input. Keeping the wick low helps prevent excess carbon build up on chimney. 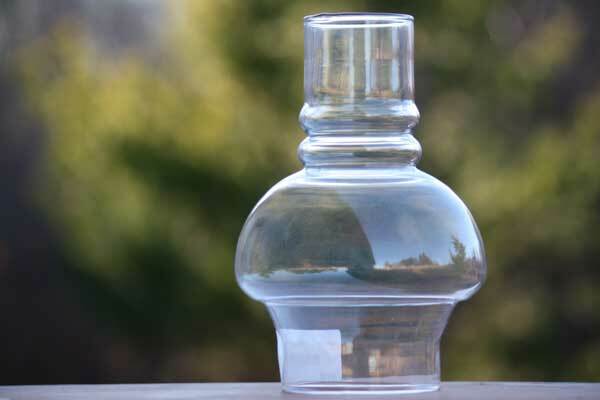 Clean an oil lamp chimney the same way you clean glass. You can use soap and water or glass cleaners. 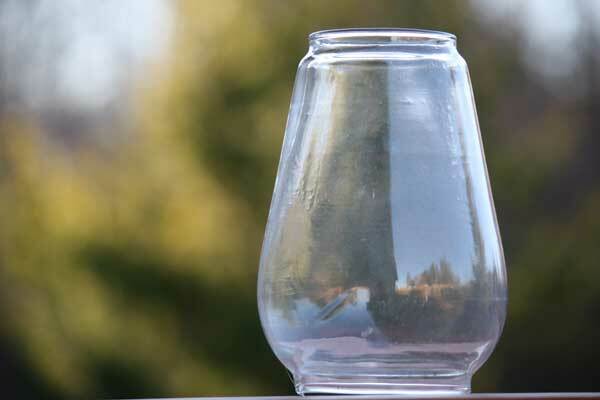 A few drops of ammonia on a cloth or a solution of lemon and vinegar water will remove dust and smoke from the glass and leave it crystal clear. Before electrical lighting cleaning oil lamp chimneys was an everyday chore. It was a pleasure for an industrious small boy-or girl, if she got the chance - to immerse a soot-blackened chimney into the frothy pan and take it out dripping clean, opalescent with the soap bubbles that clung to it. 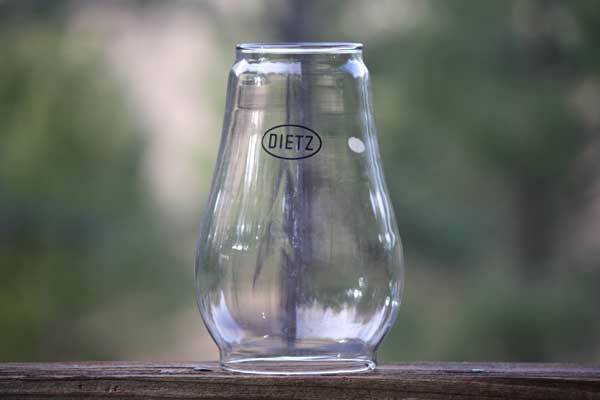 A kid could devote minutes of loving care to stuffing the dish towel gently inside the fragile, flared-top glass, setting it gingerly upright on the table without a fingerprint to mar its crystal beauty. In addition to chimney cleaning, wick trimming and burner maintenance is also very important for maintaining proper function. And always use an approved oil lamp fuel from this list. Lamp chimneys are a fragile component of your lamp/lantern and will occasionally need to be replaced. 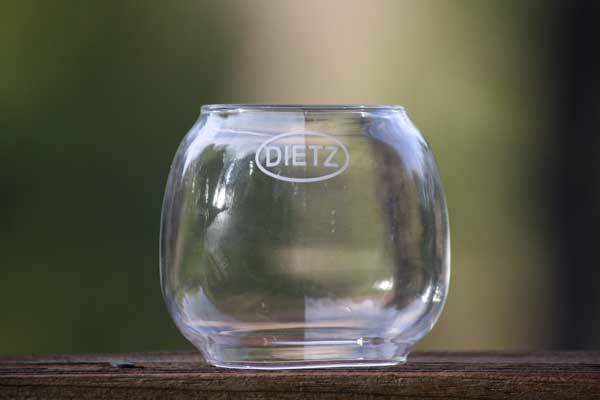 To select a replacement glass lamp globe you will need to measure the base diameter of the globe or burner interior. 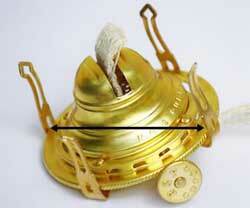 Diameter of a brass oil lamp burner interior pictured below (right). A poorly fitting oil lamp chimney leads to compromised combustion. 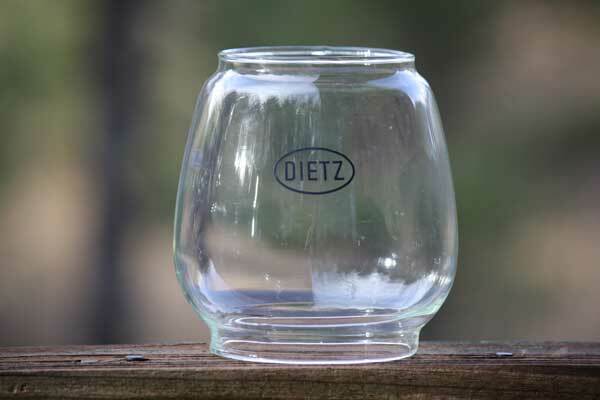 Glass lamp globes should sit snugly on the burner and between burner prongs. 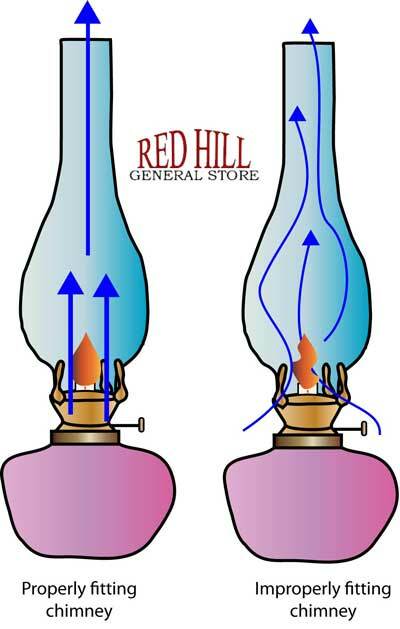 A shown in the diagram above (left), a properly fitting oil lamp chimney facilitates an updraft through the chimney to help cool the burner and foster a steady flame. If a poorly fitting chimney is used, air will enter the combustion area around the wick from the underside of the chimney. 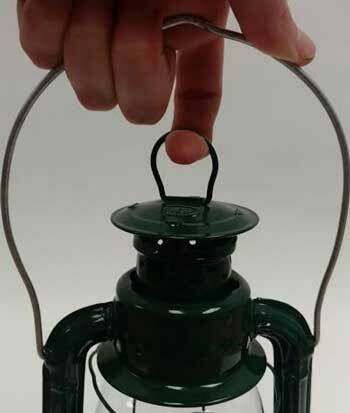 This creates a candle in the wind effect and will degrade the efficiency and output of the lantern. There is also the risk of the chimney falling and breaking. 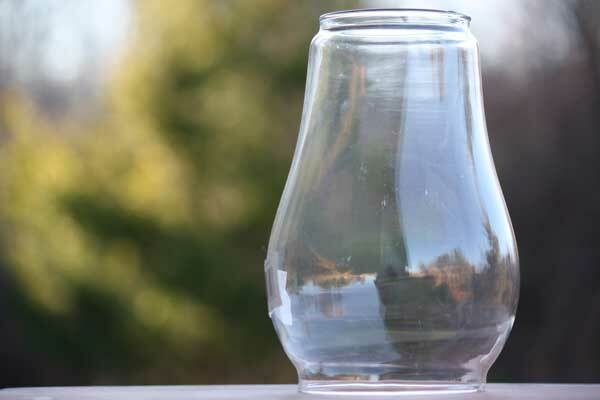 Remember to keep oil lamp burners and hurricane chimneys clean and protected to extend life. To change and clean your lantern globe, as illustrated above, grasp the bail and lift up on the chimney ring. 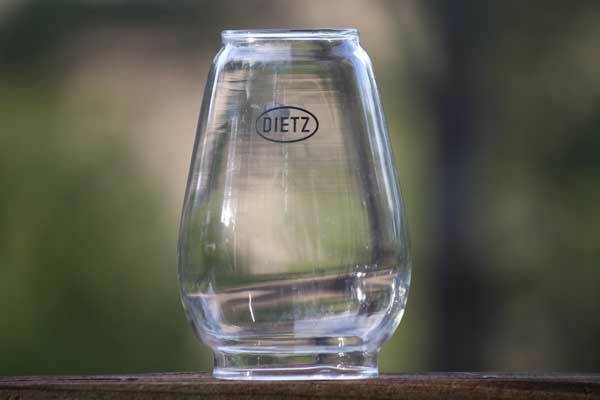 Tilt the globe away from the filler cap to easily remove the hurricane glass globe. 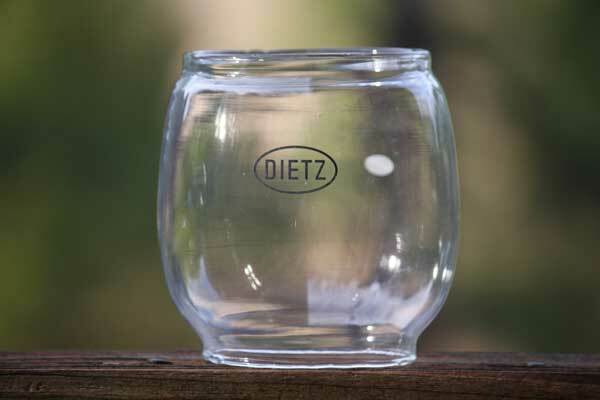 Use this method to clean lantern globes and maintain efficient performance.